Training Need Analysis (TNA) is the foundation to developing customized learning solutions. 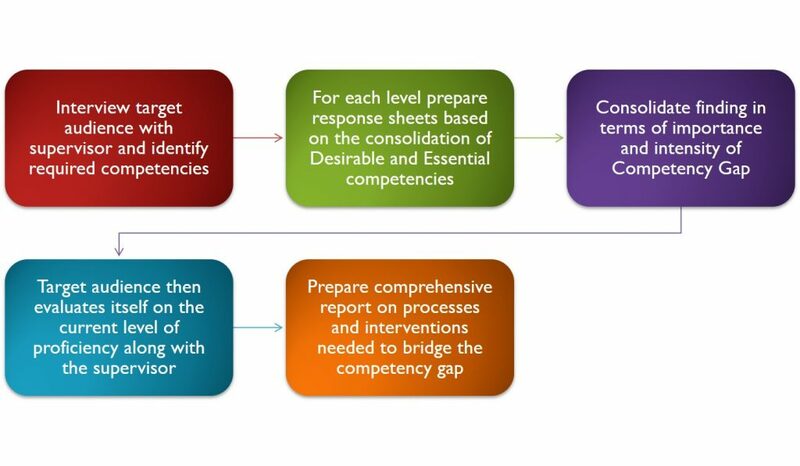 This process could include a brief discussion with you on the outcomes that are to be achieved from the training and what participants should be able to do after the training or it may require an extensive assessment of performance gaps involving work processes, tasks and roles within the organization or business unit. Sententia Learning goes beyond traditional analysis of performance gaps and helps you to not only assess performance gaps but also provide solutions to close those gaps. A systematic training need assessment will help you address the right problems and identify the best methodology or solution to solve those problem. It will also alert you to any operational or business obstacles beyond the scope of training that may need to be addressed. Sententia Learning will help you save time, money and efforts by working on the right problems and avoid unnecessary investment in training programs when other solutions may be more effective.